November is National Non-Fiction Month and I was contacted by the Federation of Children's Book Groups with a request to write something about non-fiction. Well that was easy, because I love non-fiction. Those of us who work in reader development and literacy have mountains of fiction to use to develop the skills of young readers, but that doesn’t help all children. Many children are not engaged by fiction and have a natural tendency to favour non-fiction. Using non-fiction for the teaching of reading is inevitably much more difficult, but potentially even more rewarding as these children are often the hardest to reach. When I was first working in this field I found that educational non-fiction broadly fitted into two categories. The first was the picture-heavy book with text that was often too simplistic to bring on or engage a developing reader. The second was the text-heavy book that did little to support a child who may only have low level reading skills. It was genuinely hard to find books that I could use to keep a developing reader interested, whilst maintaining a progression in their reading. Thankfully the last decade has turned the industry on its head and today the publishing industry is taking greater risks than ever before and most reading schemes incorporate a good number of high quality non-fiction titles in their catalogues. 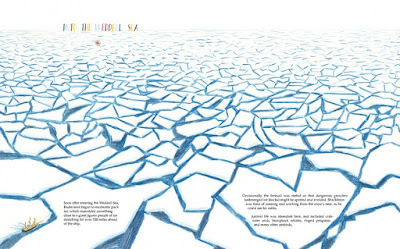 This year William Grill won the Kate Greenaway Award with his beautiful book, Shackleton’s Journey, and now publishers are looking to commission other high-quality non-fiction books with strong visual impact. This has meant that those of us who write non-fiction have also seen a change in the way our materials are being used in schools. My recent book for KS1 and 2 about the Neolithic site at Skara Brae has fitted neatly into a gap in the curriculum and this meant that I was being asked to do school visits connected to the book. This left me with a bit of a dilemma – how can I do a primary school visit based on a more traditional non-fiction book? I knew right from the off that I did not want to do a visit that was just going to be a history lesson. One of the main things that I learnt from my school visits for my novel (Brotherhood of Shades) is that pupils do not need another lesson and want to be entertained. When I was organising author visits in my school I dreaded the authors who seemed hell-bent on teaching rather than engaging and inspiring. (I won’t name names but I once had a former headteacher turned writer visit and they spent the entire visit talking about manners and better behaviour – yawn!) This meant that I was determined to find a way of making my Skara Brae visits cover different ground from what the pupils might have been taught in school. Skara Brae is specifically mentioned in the National Curriculum as a history subject and so I was aware that the pupils I was visiting had probably covered the history of the site and the period, and other elements such as clothing, food and archaeology. I needed to find a new angle and it occurred to me that the one thing they might not have covered was how creative people were in that period. I went back to my files and looked at all of the site notes that I’d made but not used in the book. I realised that I’d jotted down all sorts of things about how imaginative and creative these people had to be to survive in that environment. I had pages of notes speculating about how they had come up with the ideas for their tools and houses when they had little or no wood and simple tools. This gave me the foundation of the ideas that I needed to take into school, but I had seen the objects and the place with my own eyes, the children did not have that luxury. This led me to the creation of the Neolithic hamper. I began to source and collect all manner of unusual objects that would have been available to the people of Skara Brae. First up, a roe deer skin. I found a supplier on Ebay and purchased a treated hide so that the children could touch it. Next came roe deer antlers and I found a farmer in Aberdeenshire who collected the naturally fallen ones and sold them cheaply. After that I collected limpet and clam shells and dried kelp from the beach, and a couple of good smooth beach stones. The next bit was not as simple as I needed to add in some other basic food items but I did not want them to stink the place up or pass on bacteria. Thankfully I found some suppliers of plastic food that is made for display purposes in the food industry and I was able to add in eggs, crabs and a lovely lobster. I tried to make my own nettle string, but this was doomed from the off as it’s really not easy, or pleasant. I was worried that the twine might still cause skin problems and so I settled for some hemp twine and stained it greener to look the part. Some things could not be sourced, and that’s where your own creativity is needed, and large pack of air-drying clay. A friend (who I can’t thank enough) made me a replica of one of the mysterious objects found at Skara Brae and plans are afoot for a couple more of these items too. I do also take some fresh items such as blackberries because I wanted to show the children how they can be used to stain cloth and skin. I added in things like barley and a huge bag of bone beads of various shapes and sizes, and managed to fit it all into a wicker hamper for travelling. After that I designed my presentation based around a question – would you be creative enough to survive in the Neolithic? I started off by getting them to tell me what a Neolithic person looked like (much laughs at the Flintsones and Captain Caveman) and then showed the pupils what they would really have looked like. I asked them what the houses would have been like inside, and then showed them the beautiful cosy houses of Skara Brae. We talked about what life might have been like at Skara Brae, and what sort of materials the people had available to them. The pupils found it difficult to picture a life without the luxuries that we take for granted today. Then out came the hamper. Oh my word, every fiddly moment of putting it together was worth it. The children were so excited by the mysterious contents of the hamper that they were buzzing with ideas each time something new came out of it. Class after class and children had extraordinary ideas of what they would do with lobster shells, or fur, or antlers. None of them had ever felt deer fur, or held an antler, and because of this they couldn’t imagine how to use them. Many of the children had never seen limpets, kelp or driftwood. Handling the items was a revelation and they immediately came up with creative ideas for their own stories. "Is that a real lobster?" 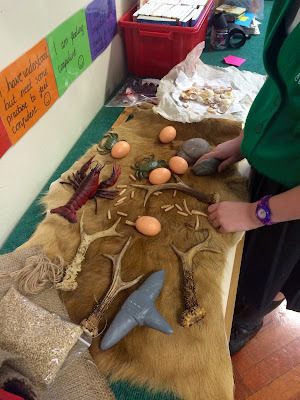 It was the most fun I’ve had on a school visit, and the children were buzzing with ideas as they returned to hold the items again and imagine how they could fit them into their stories. The children who were not strong readers were supported by having access to solid objects to embed the understanding and feed their imaginations. The visit was essentially about Skara Brae, but my focus was all about creativity and storytelling. The youngest of them (Year 3 children) did wonderful drawings of their Neolithic homes, and the older ones planned out extraordinary stories about their lives as Neolithic children. I didn’t want them to rush this process and so I left them with a competition so that they could take their time and finish them at their own pace. Skara Brae is in such a remote place that visiting it is out of the reach of most children, in fact it’s out of the reach of most adults! I travelled up from Aberdeenshire and it still took me almost two days to get there. A book can skip the long and expensive journey and magically take you right to the site, and even better it can take you back thousands of years and drop you into another time. Non-fiction opens a wide window on the world and takes us to places that we might never see. As a child I wandered along the library shelves, working my way through the mysterious clues of the Dewey decimal system to find long-lost civilizations and exotic locations that were far from my reach. My creative imagination was fed by books about places I thought I'd never see with my own eyes. Fiction can do this too, but with non-fiction the creative ideas were all my own and I felt a stronger sense of ownership. Thanks to non-fiction I sailed on pirate ships, trekked through dark jungles and swam in deep oceans. I met the platypus and the dodo, stroked the long tail feathers of the quetzal, hugged a kakapo, and fought alongside Anne Bonny on wild pirate seas. Non-fiction is far more than just an educational tool, it is a glorious adventure to somewhere far beyond our reach and oh, the places we can go! www.dawnfinch.com - for more information or to book school visits. Fabulous - inventive - stimulating! And about Skara Brae, too, one of my favourite places ever! Thanks for this. Brilliant, Dawn! No wonder the children were buzzing! I've just realised that the links on this post aren't working. 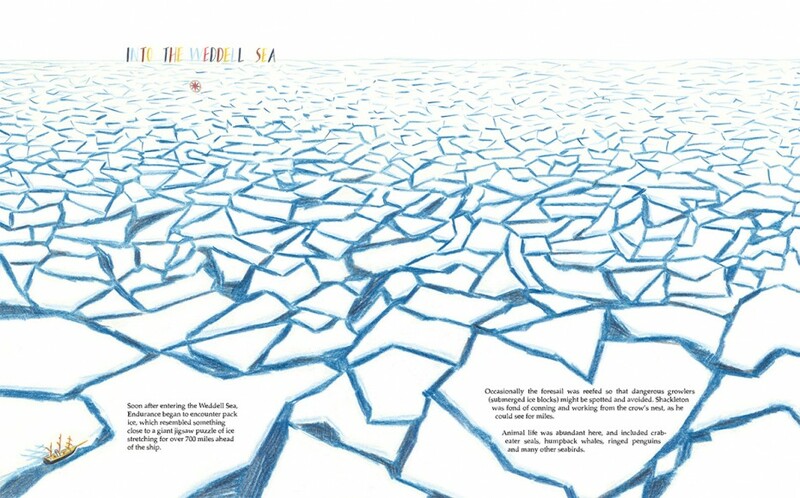 Please do checkout the Federation of Children's Book Groups website to find out more about their amazing work. It really was the most fun visit. I'm so looking forward to sharing their work. Thank you. It's a magical and inspiring place but so hard to get to! I hope I brought a little of it to the children. Dawn, what a wonderfully inspiring post! - Never mind the children, I wish I could have been there! 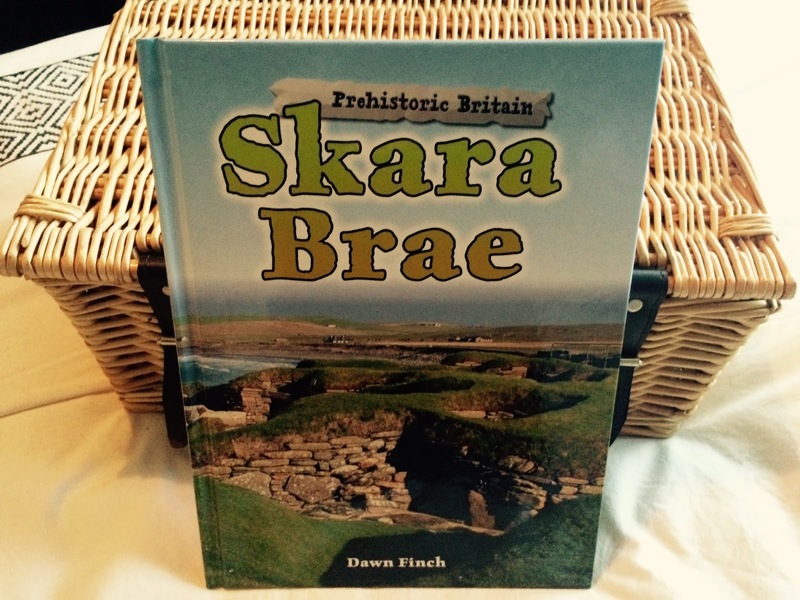 Now I really, REALLY want to go to Skara Brae! This sounds marvellous, Dawn! It sounds like a wonderful event! I agree, a lot of children like their stories to be true - and truth really is often stranger than fiction. You were able to give the children something about their own place. Alas, few publishers here in Australia are publishing children's non fiction these days. The education publishers are slotting in their own stables of writers, so no more market there. I did very well with non fiction for entertainment for some time, not any more. Everyone wants fiction. A pity, because non fiction at my school tends to be falling to pieces from so much reading! "Using non-fiction for the teaching of reading is inevitably much more difficult" - why is it inevitable? If it *is* inevitable, can that be addressed by writers and publishers somehow? That sounds so exciting - fantastic ideas for how to engage children. I love the idea of taking in a box of goodies and using it as a starting point.